Wandsworth Common is home to South West London's awesome new Outdoor Fitness sessions. From our revolutionary silent disco boot camps, to our action packed sessions using the best outdoor functional fitness equipment across London. Swift is on a mission to change the way people exercise. It's fitness that is FUN. It's something you look forward to. It's being surrounded by like minded cool people all motivating each other. All abilities, all ages, men and women, come along & see for yourself. Right near the Hope pub, and Wandsworth Common station. Halfway down the pathway out of South side exit of Wandsworth Common. Just off St James Drive. We're not currently running group sessions in Wandsworth Common, but please check out Clapham & Tooting. Our Silent Disco boot camp is a revolutionary session, where you get to workout to your favourite tunes on Wandsworth Common. We are the first boot camp in the UK to do this in 2015, and it's our most popular class with a cult like following! We kit you out with our first class headphones, which automatically tunes into the trainers mic (think britney), and playlist (think daft punk). We then carry out a boot camp session with some pumping tracks. Check out the video below, but be sure to try a session, you will love it! Swift's training team in Wandsworth is built up of passionate, and experienced personal trainers who are genuinely awesome at their training people. 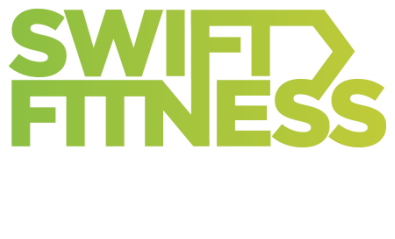 Swift Fitness is a unique and specialised group for men and women in Wandsworth Common who are looking to get in the best shape of their lives. We're the real deal. We deliver outstanding results in a fun, friendly style. We'd love to meet you, come along to Wandsworth and let's see what you can achieve. Check out an amazing review with Hannah from Wedges & Weights. What's involved in the Free Trial at Wandsworth Common? ​You get to try a session to see for yourself if you like what we do. Come along & meet the team, we can't wait to meet you. There's no obligation to sign up afterwards at all. We don't do hard sell (or even soft sell for that matter), if you like what we do, you will want to come back. Simple. Yes! We're a friendly bunch down at Wandsworth, so bring your friends, colleagues, or simple make some new friends when you get here. They will need to book a free trial the same as you, or just email us. Who is the Discounted Unlimited Membership for?